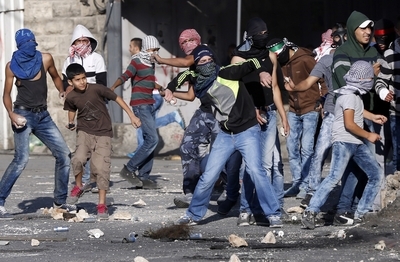 Recent events in Gaza demonstrate the growing chasm between reporting and reality. The growing chasm between reality and reporting regarding the Palestinian-Israeli conflict was in stark relief during the recent events in Gaza. The prevailing narrative was that strong-armed Israelis were shooting and killing unarmed peaceful Palestinian protesters, when in fact there were a series of violent riots planned by Hamas as cover while they attempted to breach the security fence, pour into Israel, and kidnap or kill Israelis. The majority of those killed were terrorists or affiliated with Gaza-based terrorist movements, which is information provided by the terrorist groups themselves. Regardless of how one feels about Israel or the Palestinian quest for statehood, establishing what happened should have been a straightforward task given the abundance of verifiable evidence as the events unfolded. Unfortunately, this grotesque failure to report facts accurately or put them in context reached this point after several decades during which news outlets cemented the conflict narrative as a story focused on Israeli actions alone. A comprehensive explanation for this behavior was offered by Matti Friedman in his August 2014 Tablet magazine article "An Insider's Guide to the Most Important Story on Earth." As a reporter and editor in the Jerusalem bureau of the Associated Press from 2006 to 2011, he witnessed the prevailing narrative take hold and concluded, "Many of the people deciding what you will read and see from here view their role not as explanatory but as political. Coverage is a weapon to be placed at the disposal of the side they like." He believed the lopsided coverage was due to a combination of factors, including the oversized staff tasked with the Israel beat that led to the magnification of its importance. For example, there were more than 40 staffers covering Israel and Palestinians, which was more than the AP had in China, Russia, and India combined. The situation was worse along Israel's periphery. Before the 2011 Arab upheaval, there was a single, permanent, Assad-regime-approved AP reporter in Syria. As Friedman pointed out, "The volume of press coverage that results, even when little is going on, gives this conflict a prominence compared to which its actual human toll is absurdly small. In all of 2013, for example, the Israeli-Palestinian conflict claimed 42 lives—that is, roughly the monthly homicide rate in the city of Chicago." It had slightly fewer violent deaths per capita in 2013 than Portland, Oregon. To fit the pre-designed narrative, the media have distilled the role of Palestinians, scrubbed the inconvenient truths that run contrary to their storyline, and transformed them into reactionary protagonists. Their motivations and messages are then explained away with talking points that lead back to Israel. Cut to a Fatah party member wearing a suit in the West Bank as he repeats the word "occupation," then add a quotation from the beacon of morality known as the United Nations Security Council, hit save, and send. These stories practically write themselves. Take, for instance, the issue of the peace process. Most media outlets have decided on behalf of the Palestinians that they want peace with Israel and are willing to share the land, which Israel won't allow. That is, despite what Palestinian leaders from Hamas to Fatah say publicly. 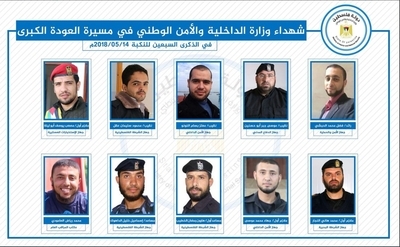 At least 24 terrorists belonging to Hamas and Islamic Jihad were killed on May 14 during Hamas's attempts to break down the border fence and infiltrate Israel to kill and kidnap civilians. Here are the names and details of 10 of them. News outlets simply rationalize facts away. The Palestinians waving machetes in Gaza don't really want to kill Israelis; they're just props. Ismail Haniyeh, the Hamas Political Bureau chairman who runs Gaza didn't mean it when he led chants at the May 11 riots: "Khaybar, Khaybar, oh, Jews! The Army of Muhammad has begun to return!" Sure, it may refer to the wholesale Muslim slaughter of Jews near Medina in the year 628 but it's probably just a figure of speech. It doesn't matter that he explicitly declared "Palestine is from the [Mediterranean] Sea to the [Jordan] River and we shall never, never, never recognize Israel!" I'm sure that's negotiable and beside the point. As for Palestinian actions, their internal politics, or their societal struggle, they don't matter. If there are allegations of corruption involving an Israeli politician, reporters are all over it. If the accusations involve Palestinians, those stories usually fall by the wayside. Outside Israel one likely won't read about the father of two in Gaza who recently set himself on fire in protest of Hamas's mishandling of the humanitarian situation. That was how the so-called "Arab Spring" began, with a street vendor in Tunisia who engaged in self-immolation; he was striving to make a point. Yet reporters would likely be tripping over themselves to get the story out if he had blamed Israel instead. All of this points to what should be painfully obvious by now: After 70 years of a failed strategy to secure their statehood in place of Israel, Palestinian leadership would still rather use its population as cannon fodder for a media stunt and its reconstruction aid for building terror tunnels than devote resources to building the institutions necessary to run a state and provide for its people. The longer Palestinians cling to the mythology that they will kick the Jews out of Jerusalem, flood Israel with millions of refugees, and replace the Jewish state with a state of their own, the more distant the prospects for progress become. That change is even more unlikely to happen while mainstream media outlets remain wedded to the promotion of Palestinian fiction.